Glaucoma is one of the most common eye disorders today, affecting more than 3 million Americans. The skilled eye care team at Ironwood Eye Care in Scottsdale, Arizona, offers expert diagnosis and management to help you minimize symptoms, delay glaucoma progression, and enjoy optimal vision. Book your appointment through the online tool or call the office for glaucoma help now. Glaucoma is a family of eye diseases that severely damage the main nerve responsible for eyesight, the optic nerve. In the most common kind of glaucoma, open-angle glaucoma, your eye's not able to drain fluid properly due to gradual clogging of your eye's drainage system. The fluid accumulation causes extra pressure on your eye, which results in the glaucoma symptoms. At least 90% of glaucoma cases are open-angle glaucoma. In closed-angle glaucoma, the drainage system isn't just clogged but totally blocked. This causes a huge immediate spike in eye pressure, which usually triggers severe symptoms. Open-angle glaucoma rarely causes symptoms until it's quite advanced. In the advanced stages of open-angle glaucoma, you may notice peripheral vision problems. Over time, this can grow worse until you lose your sight completely. Closed-angle glaucoma can cause severe eye pain, headaches, nausea, vomiting, and blurry vision. This kind of glaucoma usually has a sudden onset, and it's a medical emergency. If you have regular eye exams at Ironwood Eye Care, your optometrist will screen you for glaucoma using an Icare® tonometer, which measures your intraocular pressure. This, when combined with other early warning signs, allows for monitoring and treatment right away. If your eye exams at Ironwood Eye Care reveal high intraocular pressure, an unusually thin cornea, or irregularities in your optic nerve, you may have elevated risk for glaucoma, especially if you also have one or more of the risk factors above. For patients with specific combinations of risk factors, a prescription eye drop could cut your glaucoma risk by around 50%. What’s the treatment for glaucoma? Although there's not a cure for glaucoma right now, your eye doctor can still help by slowing or even stopping its progression. There are prescription eye drops, prescription oral medications, and procedures like laser or incisional surgery that can help.  Your Ironwood Eye Care optometrist will discuss your needs and situation with you to determine the optimal treatment path. Click the online appointment tool or call the Ironwood Eye Care office to schedule your glaucoma visit. Please click her for more information about glaucoma!